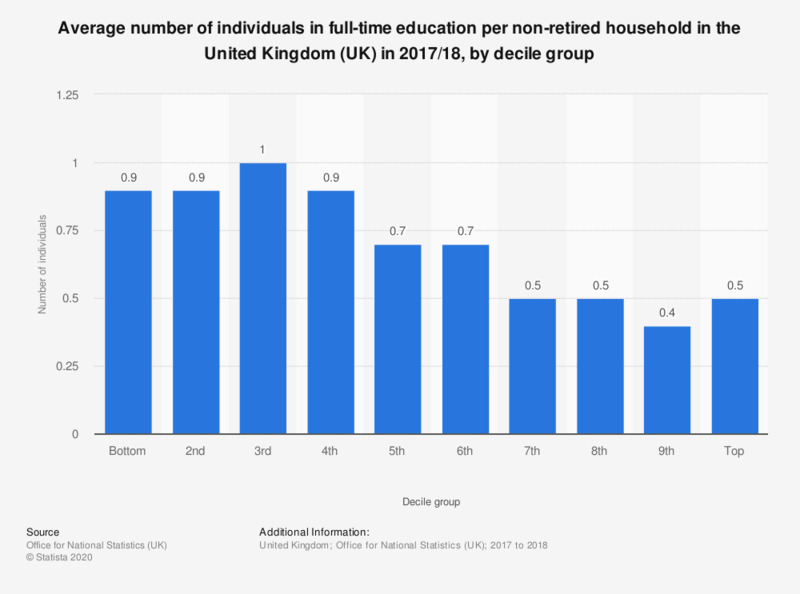 This statistic displays the average number of individuals in full-time education per non-retired household in the United Kingdom (UK) in 2017/18, by decile group. Households in the third decile had, on average, 1 individual in full-time education. This was the highest number of individuals in full-time education per household of any decile group.